Everyone Hates Coal. Pandering To It Is Stupid Politics. Political reporters paint investments in clean energy as a pander to a narrow segment of the Democratic base, while pledges to continue investment in coal are framed as smart plays to shoring up the moderate middle. And of course you have to support corn ethanol or you'll lose the entire center of the country! 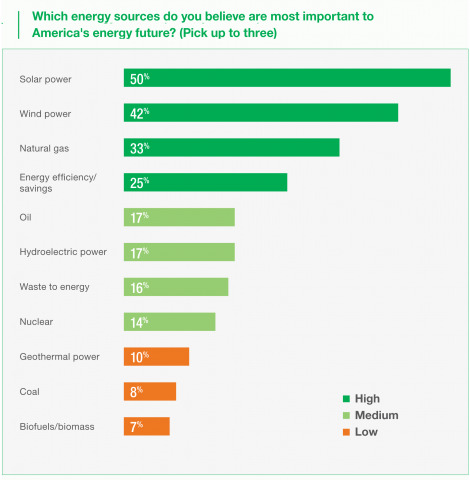 It's solar and wind that are broadly popular, while coal and biofuels have only fringe support - and keep in mind this question allowed people to name their top three. Meanwhile, for all the talk of the popularity of fracked gas, it finished a distant third to clean energy. It was also the 2nd-warmest March in Billings, Montana and both Phoenix and Tucson, Arizona. 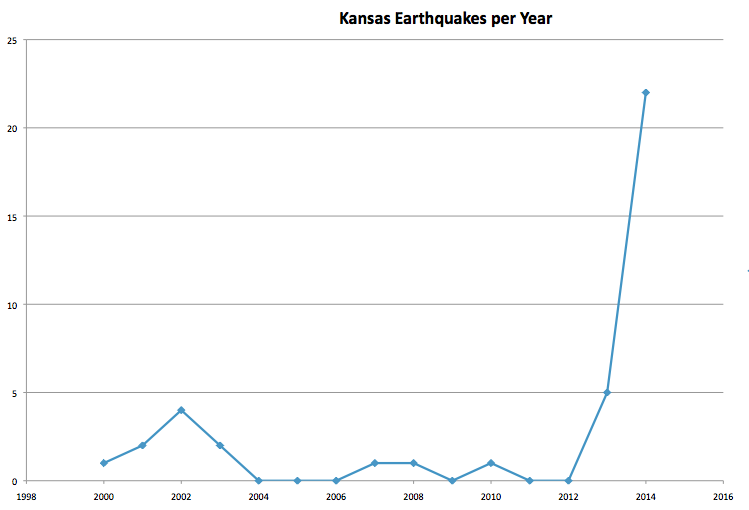 And not one of the articles mentioned climate change. Energy-wasting cable boxes cost families an extra $100 a year each, so when Comcast sent me a new X1 box, I was eager to learn more about its new "Power Save" feature. The first disappointment: "Power Save" arrived turned off. I had to go into the power settings to tell it to go to Power Save after a certain number of hours. How many customers will ever do that? 10 percent? Your energy saving depends on the specific X1 set-top box type (DVR or non-DVR), how much time the device is in Power Save mode and what power-saving activities are going on behind the scenes (such as scheduled recordings). Because of these variables, we can't say exactly how much energy your set-top box saves in Power Save mode, but to maximize your energy savings, you should always put your set-top box in Power Save mode as soon as you are done watching TV. Notice how Comcast carefully avoids making factual claims about how much energy is actually saved - if any. OK, time to put it to the test. My old Comcast box registered 86 degrees in a 75 degree room. How does the new X1 box do when in use? 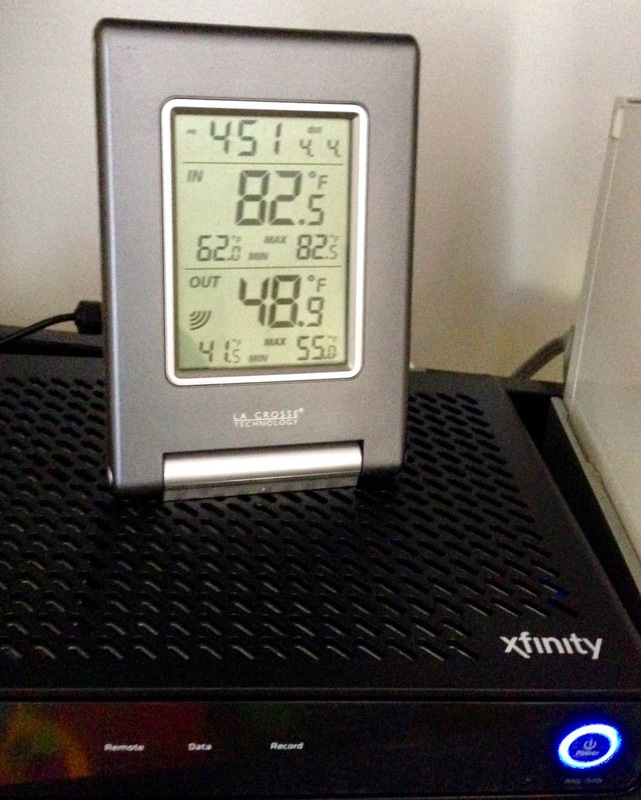 Even though the room was down to 62 degrees and it had been in "Power Save" mode for several hours, the Comcast box still registered 78 degrees, not much different than when in use. Comcast's "new" boxes don't seem any better than the old ones at sucking tons of vampire power, turning lots of your money into waste heat. UPDATE 8/6/15: One other thing that's bugged me after several months of use. To save money & energy, I have the box and my TV plugged into a power strip that I can turn off. But the Comcast X1 box takes several minutes to start back up - even longer than my computer. And that long wait isn't because of fantastic performance - the box is painfully slow to respond to the remote and move between menu screens. The bottom line is that while this box delivers flashier graphics, in terms wasting energy and slow performance, it's no better than the old boxes it replaced.